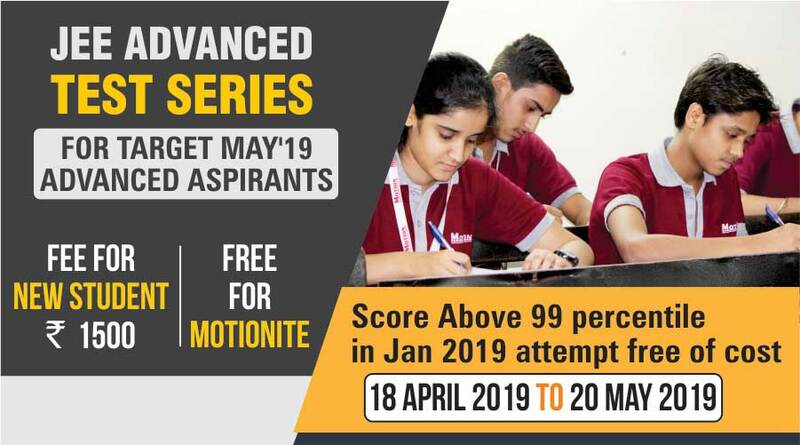 Motion has the best faculties with vast knowledge and extensive academic experience for preparation of IIT JEE who are known for producing best results and bring out the hidden champions. 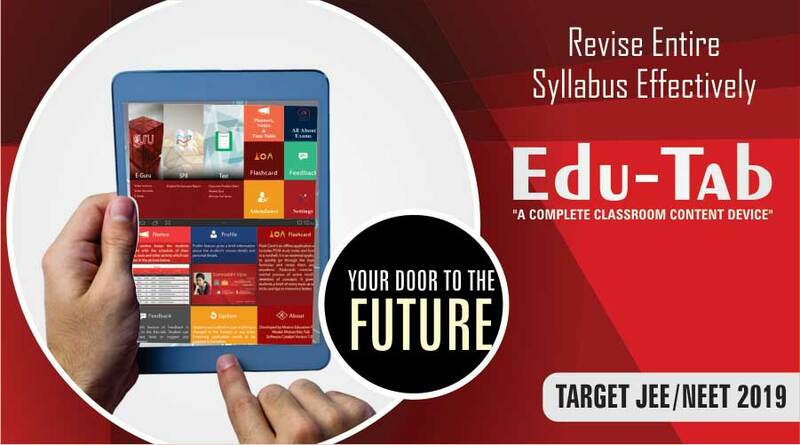 The accurately planned course material and timely execution of the syllabus renders ample time to the students for self-studies and thorough revision. JEE Main has two papers, Paper-1 and Paper-2. Candidates may opt for either or both of them. Both papers contain multiple choice questions. Paper 1 is for admission to B.E./B.Tech courses and is conducted in both online and offline modes. Paper-2 is for admission in B.Arch / B.Planning courses and is conducted offline only. 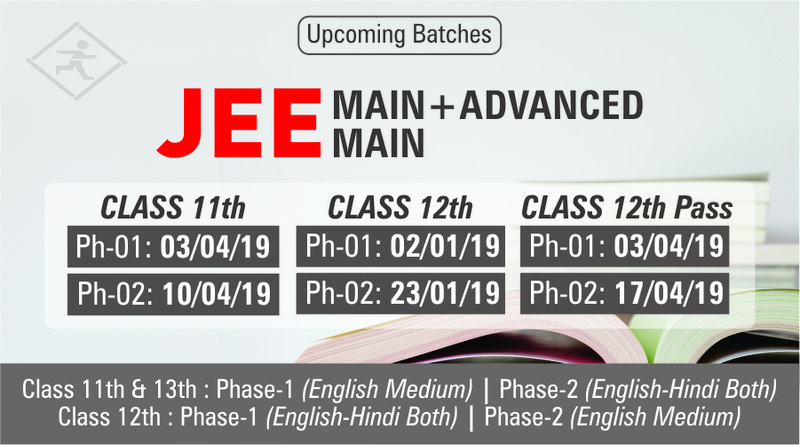 JEE Main, unlike JEE Advanced, has a fixed exam structure and is not subject to change every year. 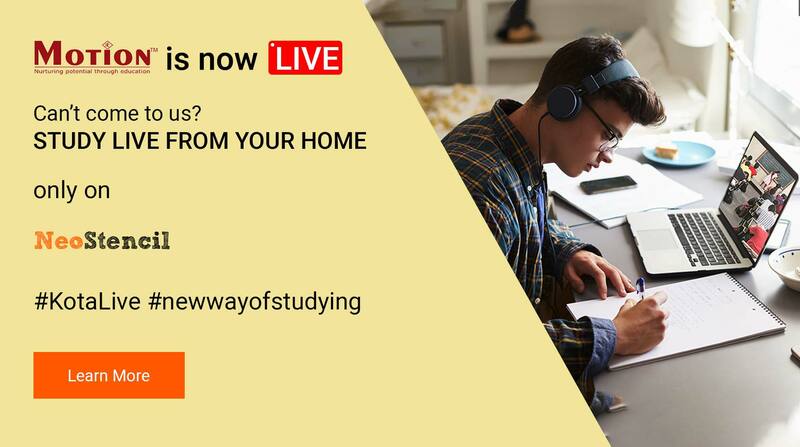 Paper-1 is of three hours duration and consists of thirty multiple-choice (single-correct) questions in each of the three subjects (physics, chemistry, maths). There is negative marking for incorrect answers. 4 marks are awarded for correct answers and 1 mark is deducted for incorrect answers. 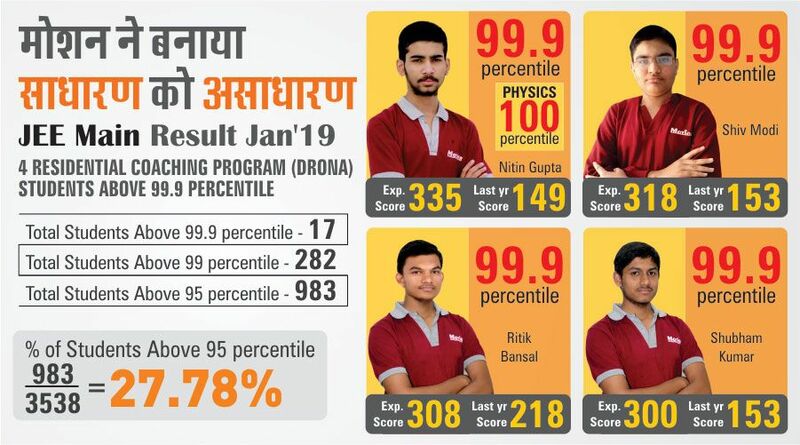 Now candidate should have secured at least 75% marks in the 12Th class examination, or be in the top 20 percentile in the 12 class examination conducted by the respective Boards. For SC/ST candidates the qualifying marks would be 65% in the 12th class examination. From 2017, CBSE made Aadhar card mandatory for students applying for JEE. 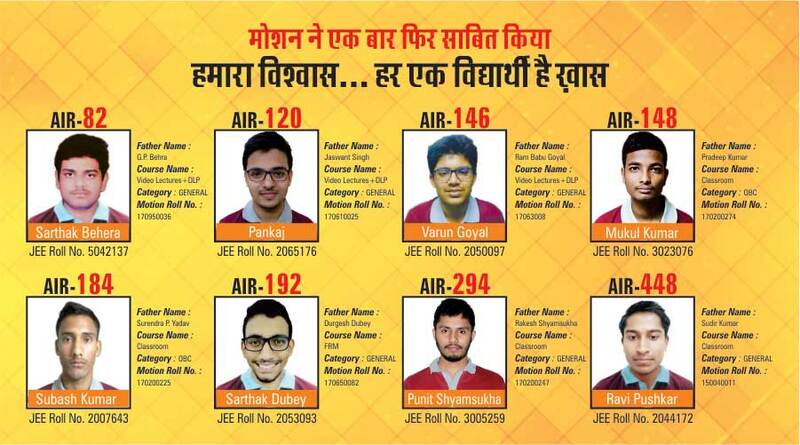 Students not having the card were asked to register for it before applying for JEE Main. 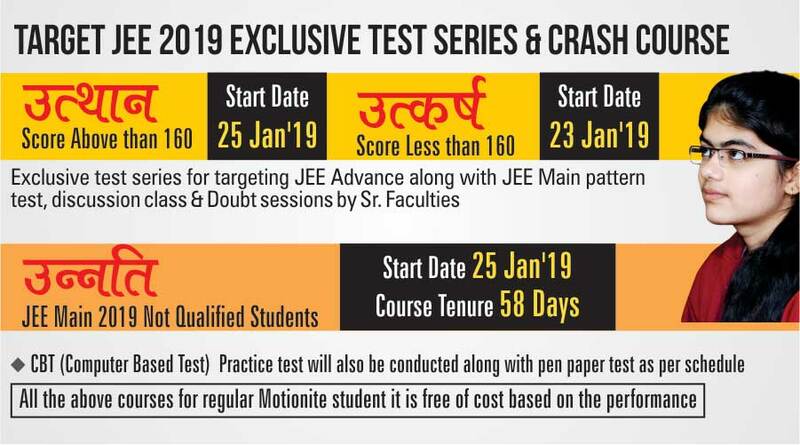 JEE Advanced is the 2nd phase of JEE Exam and it is conducted by IITs every year, on a rotation basis. 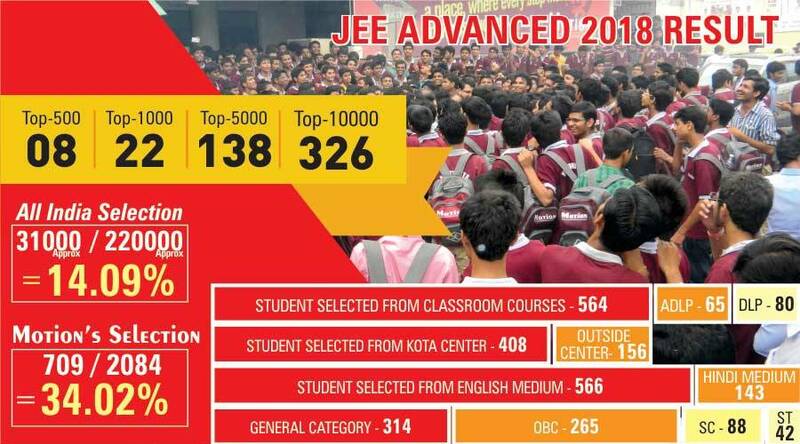 JEE Advanced 2017 was conducted by IIT Madras. In September 2017, the IIT Joint Admission Board (JAB) has announced that the Exam will be conducted online from this year onwards. 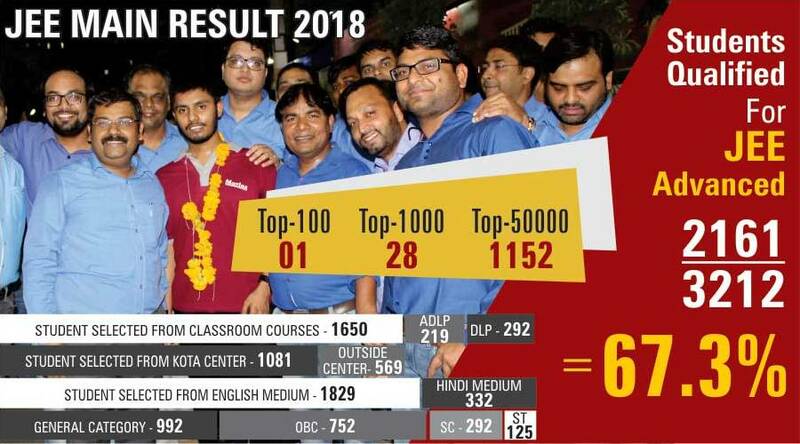 JEE Advanced 2018 has been scheduled for May 20th, and will be conducted by IIT Kanpur. JEE Advanced has a different paper pattern. In JEE Mains, there are only multiple-choice questions, whereas in JEE Advanced there are 3 different types of questions asked. I Was A Student Of Navodya Etah , I Am Thankful To Motion That They Came There And Took Are Entrance Exam Called MTSE (Motion Talent Search Exam) Through MTSE I Got Scholarship Of 75% Because Of Which I Was Able To Come To Kota And Study For IIT, Regular Test Conduction And Home Work Checking Helped Me In Clearing My Concepts And Fear Of Appearing In Main Exam. Me And My Family Are Thankful To Motion As Because Of It I Was Able To Achieve My Dream I Had Met With An Accident In Class 12 Due To Which I Had To Take A Gap Of 4 To 5 Months From My Studies After Coimg Back To Kota In The Month Of September No Institute Was Ready To Take My Admission And Help Me With My Backup Classes But Motion Took And Teachers Here Helped Me In My Backup Too Not Only This They Also Gave Me The Scholarship Of 60 % Which Made My Living In Kota Easier. My experience in Kota was fantastic and this was because teachers at motion were full of positivity and energy they never let me down they taught me how I can put my thought in front of the world. The best thing I liked about motion is its unique feature of homework checking as this feature built regularity and sincerity in me which is helped me in long run. Motion, one thing that clicks in my mind when I hear this name is the most caring institute of Kota staff and teachers at motion are very supportive. They have not only helped in my studies but they have also supported me with other things like the hostel, medical facility etc I am thankful for motion especially NV sir as because of his motivation I started believing in myself which helped me to achieve my goals. Improving yourself daily is important this is one thing I have learned from motion as mentors here give equal attention on all the students I am thankful to the institute because of which I got IIT Kharagpur this was only possible due to their teaching methods which focuses on clearing concept and fundamentals. Through motion I was able to achieve my dream, as teachers at motion are available for students 24*7 through MSL lab, classroom lectures being recorded is the unique feature of motion which helps the student to take a quick review of the class if anything missed while classroom learning. Thank you motion for fulfilling my dream. "The best thing I liked about the institute is the homely environment and its study material the study material I got was more than sufficient to clear the entrance exam. I am thankful to my mentors as because of them I got IIT Bombay." "I was in the first batch of motion (2007) I still remember NV sir used to say there is no substitute for hard work. Hard work never killed anyone but with hard work, you can kill anything and I followed the same and at present, I am working in FedEx Freight at MEMPHIS TENNESSEE. Thank you Motion for building confidence in me and I am proud to be a part of motion family."